Sometimes, the best luxury in life comes in the form of deep uninterrupted sleep. With stress piling up from both work and family, it wouldn’t be surprising if you spent most of your nights struggling to ease into a blissful sleep. The solution of your sleepless nights may come in the form of a simple lavender pillow spray. As the name implies, a pillow spray usually takes the form of a cylinder container that produces mist from the blend of water and fragrant ingredients. You’ll find that a pillow spray, or also known as a linen spray, is commonly used to spread natural fragrance on pillowcases or bedsheets to create a relaxing scent. The use of pillow spray has its root in the practice of aromatherapy, where our body reacts to the therapeutic effect of essential oil. It helps you calm down naturally as you lie down on your bed and the scent of natural plants is barely inches away from your nose. While lavender is not your sleeping pill, it does help in calming down the restless mind that often keeps you wide awake. In fact, the use of lavender for sleep and other health issues can be traced to ancient civilizations. Of course, getting yourself a lavender pillow spray just because ancient myths claimed that it works isn’t a wise idea. But various clinical studies have also indicated that there are truths behind the old-wives tales of lavender. A study was conducted where 31 patients are exposed to lavender odor. This results in better sleep quality of the patients. The study also suggested that lavender can be used as a substitute remedy for sleep medicines. It was also reported that there are hardly any side effects that are associated with the use of lavender in aromatherapy. This explains why it’s a widely used natural remedy for people with insomnia. If you’re thinking what could a small bottle of lavender pillow spray possibly do to change your life, here are a few quick answers. You can reduce intake of prescribed sleep medicine until you eventually stop. Creates a pleasant scent of lavender that helps you relax in the room. Basically allows you to enjoy aromatherapy when you’re traveling. Ensure that you have uninterrupted sleep with the close proximity of the scent. Other therapeutic benefits of lavender to health that includes reducing acne, regulate blood circulation and helps digestion. When you use a lavender spray, you’re actually breathing in the ingredient that’s released from the spray for your entire sleeping hours. You’ll want to ensure that you’re making the right decision when choosing a particular lavender pillow spray. Here are some criteria to consider. Natural Ingredients – Besides lavender, some of the pillow sprays also contain other ingredients that promote sleep. Make sure that there are no synthetic chemicals that are used in making artificial fragrances. Pleasant Scent – While it’s true that you couldn’t actually experience the scent until you bought a bottle, you can check out how other customers felt about the scent of the pillow spray. 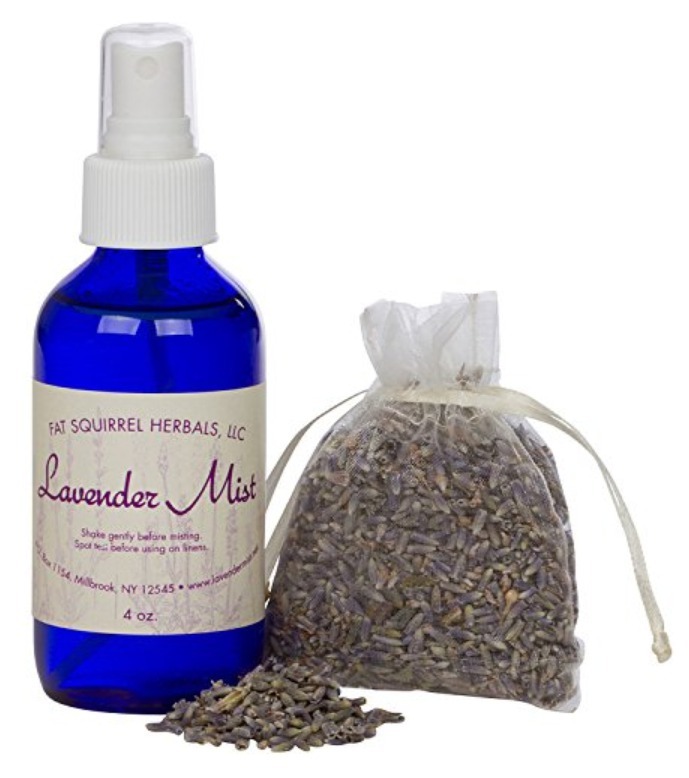 High-quality lavender pillow spray gives off a pleasant that doesn’t overwhelm you. Fine Droplets – The mist produced by the spray should be fine enough to gently absorbed into your pillowcase without causing any wet patches on it. 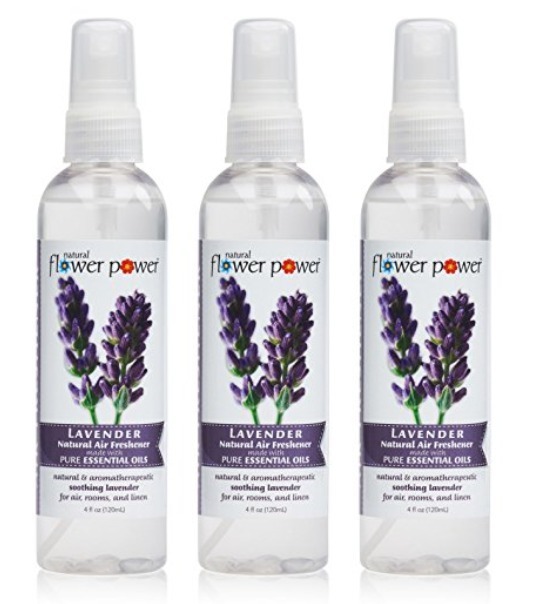 Hypoallergenic – Naturally made lavender pillow spray normally doesn’t cause allergic reactions. But some sprays may include other herbal ingredients that you may want to be sure that you’re fine with. 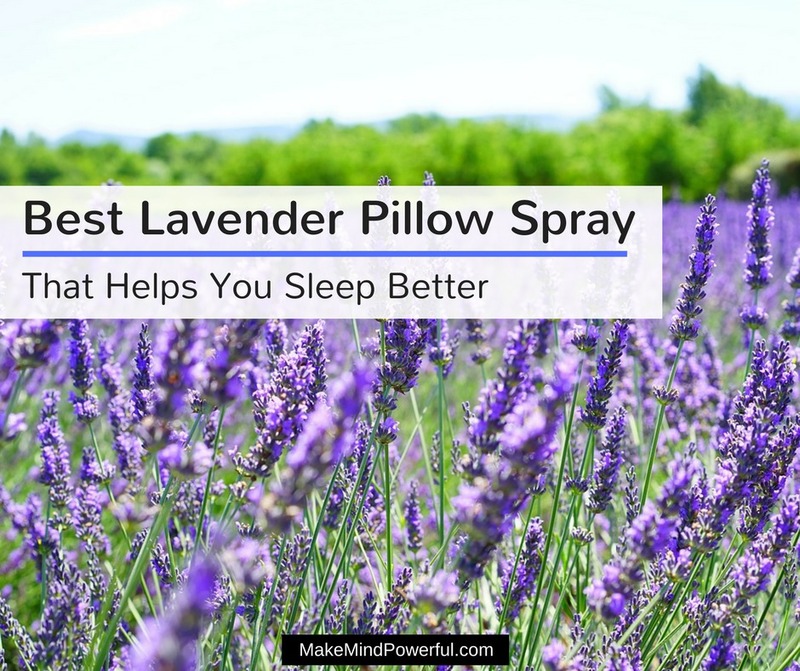 Quality – Beware of cheaply priced lavender pillow spray as you may be tricked with low-quality products that may actually be harmful to your health. Instead, only purchase lavender pillow spray from reputable brands. There are about hundreds of lavender pillow spray in the market. It can take up a great portion of your time to choose the right one from other mediocre products. 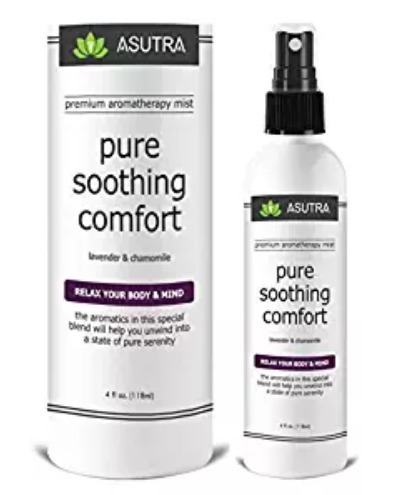 As I’ve always preferred Amazon when it comes to wellness products, I’ve compiled a list of the best lavender pillow spray to make your decision-making easier. If you’ve been a yoga practitioner, you may come across the brand Asutra. It’s arguably one of the best suppliers of organic products for yoga fan using only natural organic ingredients. You’ll feel the love of every single product as they are individually sourced and packaged in the US. 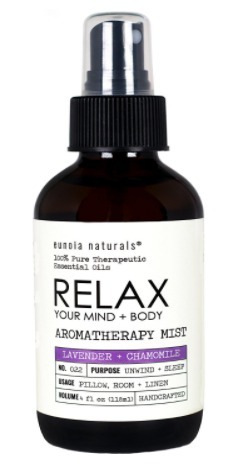 This bottle of aromatherapy mist is made with natural lavender and chamomile essential oil. They are blended with distilled water to that it is free from any impurity. You can be assured that it’s hypoallergenic and contains no harmful chemicals that irritate your skin. Just spray gently on your pillow and the natural fragrance will help calm your mind gradually. You’ll find that sleep is much easier to come by thanks to the properties of lavender. You’ll be surprised that the scent may actually last for a few days as this is a high-quality lavender pillow spray. Besides acting as a sleep remedy, you’ll also find this bottle of aromatherapy mist useful for rehydrating your skin. It is strengthened with aloe vera and jojoba oil to help keep dry skin moisturized. It will be the perfect companion during and after your yoga session. 100% organic lavender and chamomile blend. Helps to get better sleep. Great for moisturizing dry skin. A minority of customers do not like the scent. Aura Cacia is owned by Frontier-Coop, a cooperative that’s been around since 1976 and is committed to producing organic products harvested from small farm families in an ethical manner. It is committed to giving back to the society by allocating some of its profits to various global organizations. 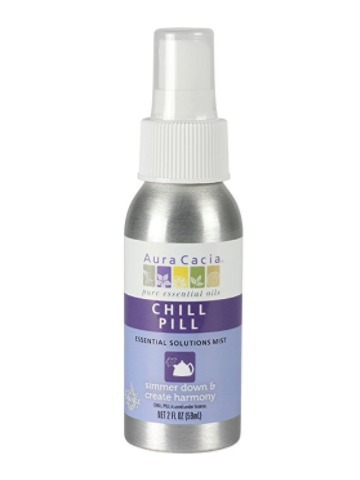 Made from pure essential oil, the Chill Pill has what it takes to turn fiery mood into pleasant serenity. It has a balanced blend of lavender, sweet orange, and patchouli to help you relax even in a challenging mood. It’s 2 oz bottle is within the allowed TSA travel size means you can easily carry it along on your flights. Sourced from farms that conform to sustainable agriculture practice, the therapeutic benefits of lavender oil will guide you into sleep when sprayed on the pillowcase. Every batch of the essential oils has been tested to ensure they are free from any harmful toxins. If you’re tired of babysitting energetic kids, spraying the mist in the air could also help calm the young ones down. What’s great is that you can refill the can when it’s empty with Aura Cacia’s concentrated blend. It’s a sign of how the company commits itself to environmentally friendly products. Made of 100% natural lavender, sweet orange, and patchouli oil. Useful for calming down energetic kids. Helps your mind to relax during bedtime. The scent may be unpleasant to some. Founded more than 20 years ago, Bath & Body Works is now a renowned retail brand when it comes to bath and body care products. Arguably one of the largest chain store selling bath products in the US, its range of aromatherapy products includes shower gels, massage oil, body lotion and spray mists. This generous bottle of pillow spray produces a light mist of lavender and chamomile blend to guide you to sleep gently. Both lavender and chamomile are known to have a calming effect on aromatherapy. Just spray lightly on your pillowcase and you’ll be looking forward to a night of uninterrupted sleep. As expected from a reputable brand, you’ll have a clean and pleasant scent from the tiny droplets of the essential oil blend. Just ensure that the pillowcase is dry before you slept on it. The generous size of the bottle also means you wouldn’t be ordering another bottle any time soon. Apart from sleep, the therapeutic effect of lavender also helps to reduce acne and increase blood circulations. If you’re struggling to get rid of acne issues, spraying the essential oil blend in your room can help in rejuvenating your skin. Natural blend of lavender and chamomile essential oil. The scent can be overpowering for some. Positive Essence is a small online store that sells natural essential oil products such as natural room sprays and massage oil. Despite its size, the pillow spray has gained an overwhelmingly positive feedback on Amazon, and that means a deserved mention in this list. 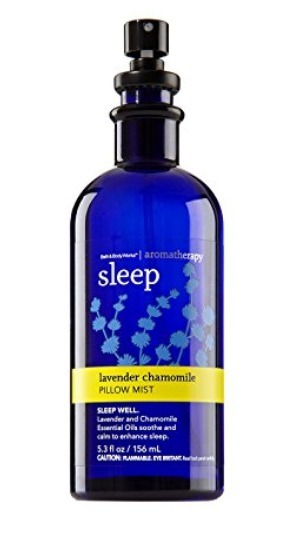 If you insist on pillow spray strictly made of lavender essential oil, this is the perfect bottle for you. Each bottle is packed with individually blended ingredients that consist the best grade of natural lavender essential oil. As you spray the blend on your pillowcase, you’ll experience tranquility delivered by the therapeutic quality of pure lavender. Not only do you fall asleep easily with the aromatic scent of lavender, you’ll wake up more refreshed too. Besides sleep, lavender is also known to help in treating anxiety or depression. Spraying a couple of mist will ensure your mind relax if you’ve been through a difficult day. You may also be surprised to learn that this bottle of lavender spray can actually help keep insects and pests out of your room or house. The smell of lavender is definitely pleasant to you but definitely is not a favorite scent for annoying bugs. An effective remedy for anxiety and depression. What started as a group of aromatherapists blending soaps in a farmhouse 20 years ago has turned into a trusted brand for essential oil products. With happiness, health, and wellness being the driving force, Eunoia Naturals products are free from toxins, artificial flavoring, parabens and synthetic preservatives. 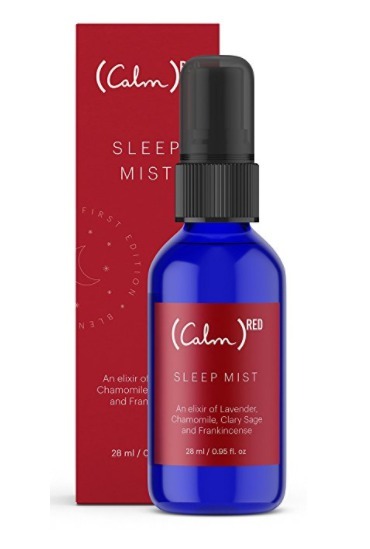 Expect to fall asleep soundly when you spray this bottle of aromatherapy mist on your pillowcase. The sedative effect of both lavender and chamomile will lull you into dreamland. That’s the least you can expect from pure therapeutic grade essential oil. Besides spraying in your bedroom, you’ll also find that scenting your living room is great for creating a relaxing environment that helps you unwind. It helps to slow down your mind after a day of juggling multiple tasks. Any tense feelings would evaporate like the droplets of the essential oil blend. Every single bottle that you order is individually blended and packed to ensure the quality of the essential oil remains intact. It’s definitely a versatile product that you can use in your home, office or when you meditate. Great for relieving stressful mind. Refresh the room with fresh scent. Made from 100% pure lavender and chamomile oil. TreeActiv believes in making high-quality natural wellness products available at an affordable price. Established in 2014, it strongly believes that both environments and animals are to be protected at all cost in their process of manufacturing the best skin care products. Besides promoting sleep, this bottle of linen spray doubles up as antibacterial odor removal when applied to linen and clothes. The blend of lavender, tea tree, and peppermint helps get rid of acne-causing bacterias that commonly infest clothes and fabrics. Apart from keeping fabrics fresh, the mild sedative effect of lavender will be helpful if you’re suffering from insomnia. You can spray the whole room to create a relaxing and calm environment as you prepare for bedtime. The fact that it’s non-GMO and vegetarian-friendly means you can sleep on the sprayed pillow with the peace of mind. While lavender is popular for its sleep-boosting effect, it can also help you to feel refreshed during the day. That’s because it helps you to keep your mind relaxed as you keep yourself in the presence of the aromatic scent of lavender. Fat Squirrel Herbal is a family owned business that operates right out of the farm. The business was founded by a herbalist who specializes in lavender and the therapeutic effect it brought to people. Even as a small business, it commits 5% of its profit to organizations like Human Rights Campaign and Matthew Shepard Foundation. A bottle of this lavender spray comes with an organic lavender sachet that you can place in drawers or closet to have a fresh floral scent. To get better sleep, just apply the mist gently to pillow and bed linen and the wonderful calming effect of lavender will get into action. The lavender flowers used in making the pillow spray are organic and there’s no chemical or alcohol added. It’s also pet-friendly and you can use it to calm your pets when they are tensed during a vet trip or a thunderstorm. Right from the farm of a herbalist, the scent of fresh lavender turns your home or offices into a soothing environment easily. This bottle is as simple as it gets when it comes to the minimal ingredient used in the blend. Gives a pleasant smell of fresh lavender. Comes with a lavender sachet. Effective as a remedy for sleep. It’s all about creating ethical products where Luna Lifestyle is concerned. Their health-conscious team ensures that every single shipment of their products is made from naturally sourced ingredients and free of harmful chemicals. The company also commits 10% of their profits to philanthropic causes. You’ll experience a deep sense of peace when you spray this bottle of lavender mist in your room. The healing properties of pure lavender essential oil will not only calm your mind but also soothe muscle aches and regulate low pressure. Spraying some mist gently on your pillow ensure you enjoy a blissful night of sleep where you can rejuvenate completely. You can use this non-toxic spray at any environment or surface that are not water sensitive. Besides getting your sleep routine back on track, you can also use the lavender spray on your yoga mat to increase your focus as you execute various yoga form. And if you’re all about giving back, part the sales from this product goes is donated to philanthropic causes. Made from 100% natural lavender flowers. Great for optimizing sleep environment. 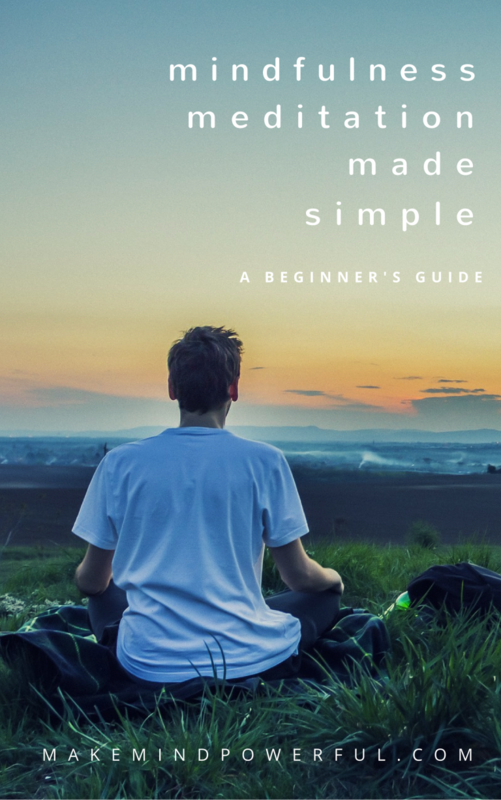 Calm is the company behind one of the best mindfulness app that won Apple’s App for the Year and Editor’s Choice by Google play. It was founded by a couple of British entrepreneurs committed to creating a healthier and happier world. The sleep mist pillow spray is a special collaboration effort with (RED) to combat AIDS. When you buy a single bottle of Calm pillow spray, $1 will automatically be to the Global Funds for combating AIDS. On top of that, you get a bottle of high quality, natural lavender pillow spray that is free from parabens and other harmful chemicals. Having adequate sleep is important to leading a balanced and healthy life. You can transform your bedroom into a soothing sleep zone by spraying the lavender oil blend to your pillow and surrounding area. The pillow spray is also safe for children above 1-year-old as it has been certified by a third party safety auditor. It’ll be handy to have one around if you have young children who turned energetic when bedtime approaches. Certified Sleep Safe by a third party organization. Some customers are not comfortable with the scent. Primary Essential Oil Blend: Lavender. Natural Flower Power remains a family owned business in California after 7 years of being in business. It places great importance on making the best household products that are made of safe ingredients. There is no place for environmental and animal cruelty where the business is concerned. If you’re looking for better value with higher quantity, this triple pack of lavender linen spray may be the right choice. While the products are economically priced, the quality of the essential oil is never compromised. 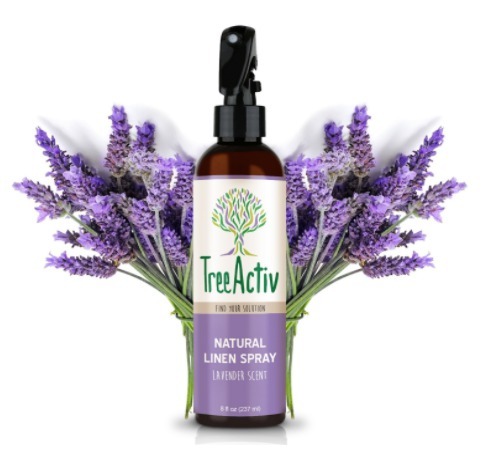 The spray is made of pure lavender essential oils without any addition of synthetic aromas. It works as a room freshener and pillow spray to deliver the therapeutic benefits of essential oil as you sleep. With lavender’s calming effect, you’ll get to enjoy continuous nights of uninterrupted sleep as your room is covered with the scent. With just a couple of sprays and you’ll get the right balance of lavender scent that’s neither overwhelming nor too faint. The fact that it’s hypoallergenic and naturally made means that you’re unlikely to get headaches usually caused by commercial synthetic fragrances. A well-balanced scent of lavender. Made of natural lavender oil. Keeps the room fresh and relaxing. I hope that you’ve found the best lavender spray from this compiled list. If you’re still overwhelmed by the choice, I’ll suggest that you choose the first lavender spray in the list from Asutra. It has the most favorable feedbacks from customers.